Perspex, fibre-glass, turntable, fluorescent light; kinetic. Collection Mme Boissonas, Flaines Cultural Centre, France 1971. 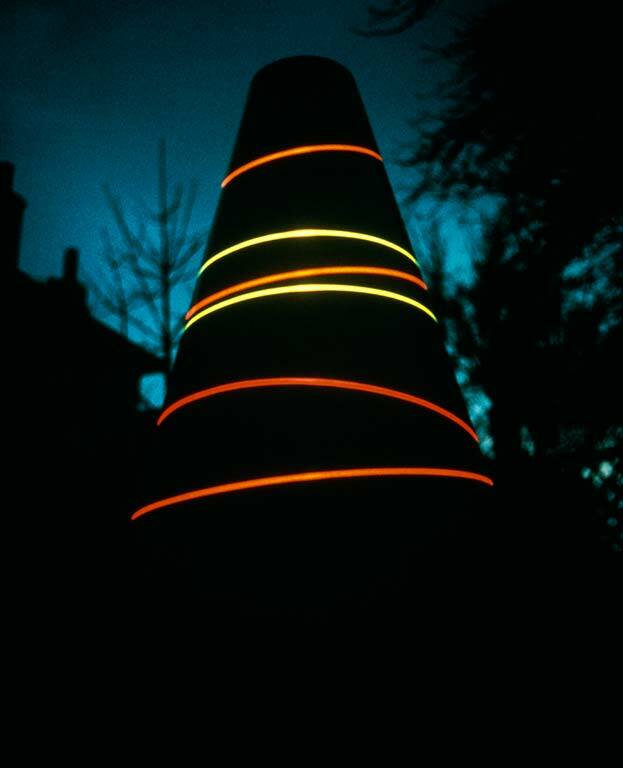 Lijn called the first large Koan which she made in 1969, Anti-Gravity Koan because she felt that with it she expressed an important earthly paradox: the human dream of escaping gravity and the biological necessity of living within its embrace. Koan is a Japanese word for a paradoxical riddle given to young Buddhist monks as aids for meditation. A typical Koan would be What is the Sound of One Hand Clapping? Lijn used this as the title for a film she made in 1975 about the Koan series of her work. Koans are about relating the parts to the whole. This is a continuous theme in Lijn’s work. 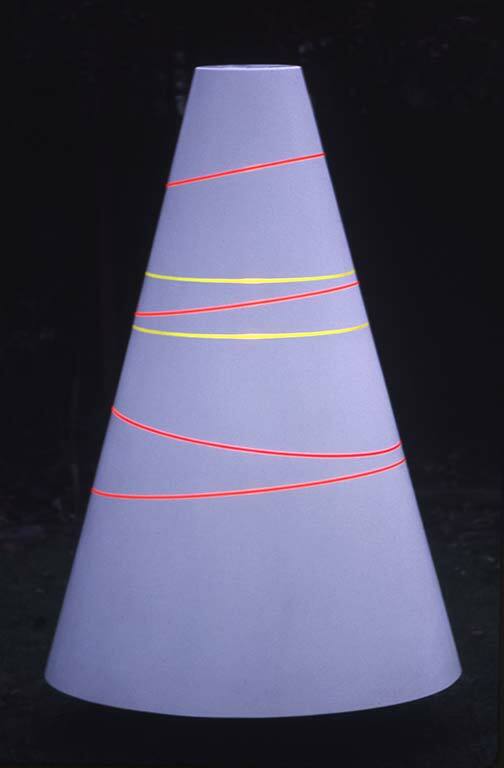 In her work with cones, she uses elliptical planes to divide the cone, thus analysing the ambiguous complexity of the conical form.